The best headphones under 50 dollars you can get today. Choose from over-ear to noise-cancelling cans. What Headphones to Expect for 50 Dollars? What is the Difference Between Noise Cancellation and Noise Isolation? Price on Amazon.com, last updated date at the bottom. Jump to: The Best Headphones under $50 | Best In-Ear | Best Noise-Cancelling | What to Expect for 50 Bucks? In this guide, you’ll find the best-rated headphones of different design all costing under $50. We picked the leading over-ear, in-ear, on-ear, wireless, noise cancelling, and open-back headphones, something for every need. It’s hard to find affordable headphones that aren’t suffering from significant weaknesses like lousy build quality and unpleasant sound. Also, 50 bucks isn’t a lot of money, and most of these cans have only basic features. Nonetheless, they offer a lot of value for the money for every price-conscious user. We did the research for you and below are the top models. 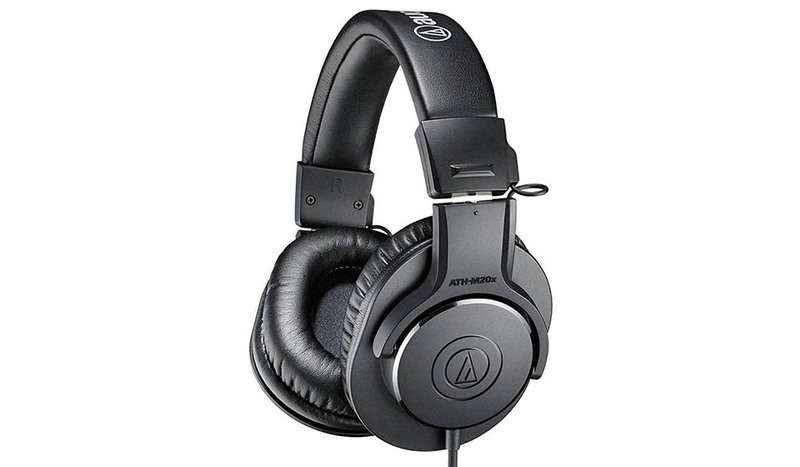 Audio-Technica ATH-M20x are the best headphones under $50. Coming from a reputable company, they offer tremendous value for the price. If you’re looking for well-made over-ear headphones that give you high sound quality in comfort, you should get these. First of all, their excellent built quality and lightweight design make them comfortable to wear (even if you’re wearing glasses). You can easily find your size with the adjustable headband, and they even fit large heads. Also, they last a long time, so that’s money well spent. The ATH-M20x are suitable for mixing tracks in the studio. The sound they provide is above average (in the category). Their noise isolation is not the most satisfactory. If you are a DJ or listening to your music in loud environments, these are not the best choice. In addition, they don’t have any audio controls or microphone, which is somewhat disappointing. As said before, their sound is far above average. Tones are rich and warm. The ranges are rather balanced, with bass and mids being slightly enhanced. The sound is really clear and makes every music genre worth listening to. What makes Audio-Technica ATH-M20x stand out in sub-$50 category is their pleasant sound, reliable comfort, and long-lasting durability. Avantree Audition are the best wireless headphones under $50 with fantastic battery life and soothing comfort. These are for everyone who wants wireless headphones that are easy to use on a daily basis, reliable, and have pleasant audio quality. 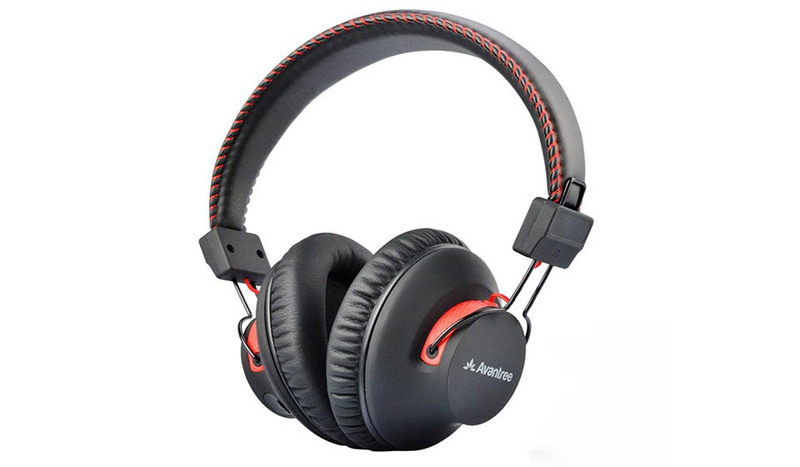 Avantree Audition are made of quality plastics and leather covered headband. They are extremely lightweight. In addition, their soft padded ear cups provide extended comfort (for hours). Moreover, you can enjoy your music up to 40 hours per single charge. The battery life is really amazing for this price category. You can also use them as wired headphones, so you never have to worry about the low battery. That’s not all. Add to this a built-in NFC and aptX support and the option to connect 2 devices simultaneously, and you’ll start to understand why these are so popular. Leather ear cups can get hot after a while. Contrary to popular belief, the sound of these cheap Bluetooth headphones is quite good. They produce somewhat balanced sound, with rich bass and front mids. This is perfect for hip-hop or rock, but also for other genres of music. Avantree Audition are a perfect pair of affordable wireless headphones for casual everyday use. Lots of comfort and features for little money make them great value-for-money cans. 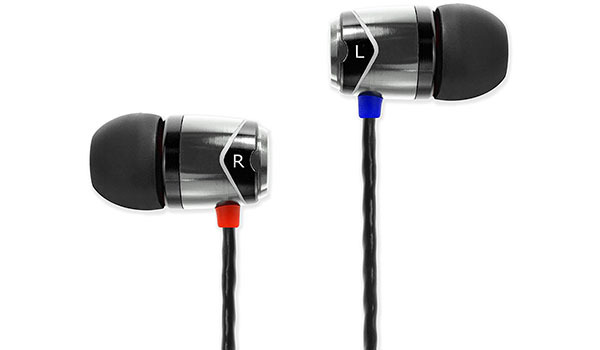 Soundmagic E10 are a mixture of high comfort, modern in-ear design, and exceptional sound. If you’re looking for ear buds that have long durability and high audio quality under 50 dollars, then you should get these. What gives them the premium feel is the metal design. Light weight and quality eartips create an airtight fit which results in above average noise isolation and ample amounts of volume. The lack of in-line control makes them a little less exciting (model with mic is more expensive). Their sound is not suitable for bassheads. The sound is perfectly balanced and clear. Don’t expect strong punchy bass. Instead, you get overflowing tones, making every music sound exceptional. Sound-wise, these are one of the best earbuds ever made (if you consider their price, of course). Soundmagic E10’s can make even the pickiest listener happy. Admirable comfort and attractive design make them one of the best in-ear headphones under $50. The MEE Audio N1 are the best wireless Bluetooth earbuds under $50 with ergonomic design and bass enhanced sound. If you need dependable Bluetooth in-ear headphones that are perfect for commuting or private listening, check these out. The ergonomic and lightweight design makes them comfy for daily use. They stay in place, no matter what and built-in magnets keep earpieces out of the way until you need them. You can also use the in-line remote and microphone for controlling music and making phone calls. Their battery life is up to 8 hours which is quite long. As usual, you can connect 2 devices at the same time. Keep your expectations low as 50 dollars isn’t a lot of money for wireless buds. Your ears might get sweaty while wearing them for too long. Also, buttons on the remote control are quite small. So you have to be careful if you have big fingers. The crisp, engaging, and bass-enhanced sound makes music pop. These are perfect for bassy music genres, such as modern electronic music or rap but a little less suitable for classical. What makes MEE Audio N1 stand out is their enhanced bass sound, comfort and reliable wireless performance that’s rare for less than $50 on today’s market. Mpow H5 are the best cheap noise-cancelling wireless headphones under $50 on the market. Note: The price is very close to $50 and sometimes goes slightly over. 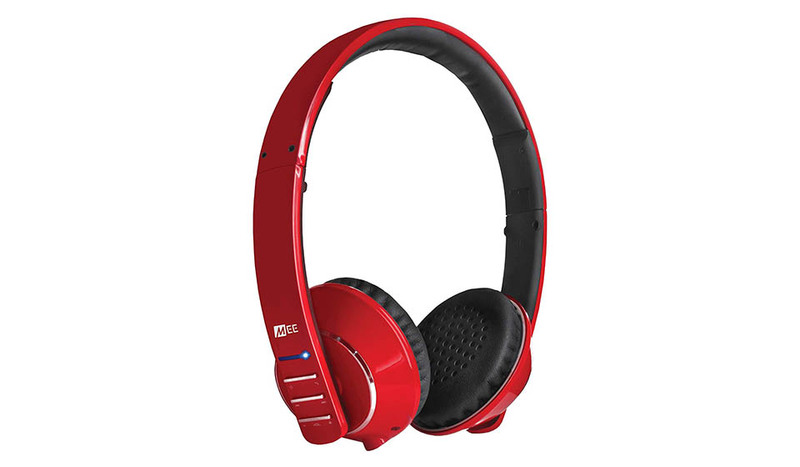 Do you want to enjoy your music without distractions with active noise canceling for dirt-cheap $50? Then check these Bluetooth headphones. Their lightweight design makes them soothing to wear. Also, their built quality is far better than $50 would warrant. You can fold them and carry them with you wherever you go. You can enjoy up to 18 hours of usage. When the battery is low, you can just plug in the cord and relax. They have easy-of-use remote buttons. Their sound is above average and more suitable for heavy bass lovers. Their earpads are a little stiff and can cause some ear pain after long listening sessions. Although these are noise cancelling, their effectiveness is lower compared to high-end ANC headphones. Also, the mic is mediocre. The sound is bass enhanced. Bass is heavy, punchy and consistent. Although other ranges are also strong, these headphones are not recommended for more vocal-centric music like pop or jazz. But these will make any basshead happy. The best noise cancellation for 50 bucks, the Mpow H5 also provide long battery life, decent comfort, and enjoyable sound quality. MEE Audio Runaway are perfect wireless on-ears for everyday use. Although their price is quite low, they don’t disappoint. If you’re looking for closed-back headphones that provide nice sound, are comfortable, with on-ear design, and affordable, these are the ones for you. Because of their lightweight plastic design, they are incredibly comfortable. Ear pads stick to your ears well enough, so you can’t hear most of the noise around you. These are also suitable for light sports activities. But not for heavy workouts. On the right ear cup, there are built-in controls and microphone for phone calls. Battery lasts up to 15 hours. When you’re out of power, you can just plug the cable and enjoy them wired. Because of the low price, they’re built flimsy, so you should keep good care of them. When connected and silent a slight hissing noise is present. Their overall sound is balanced. Although the bass is quite heavy and punchy, it is not disturbing. The sound is clear and warm. These are perfect to listen to many music genres, from classical to modern pop. MEE Audio Runaway are perfect for everyday use and for everyone that wants to have portable on-ear headphones with Bluetooth technology under $50. 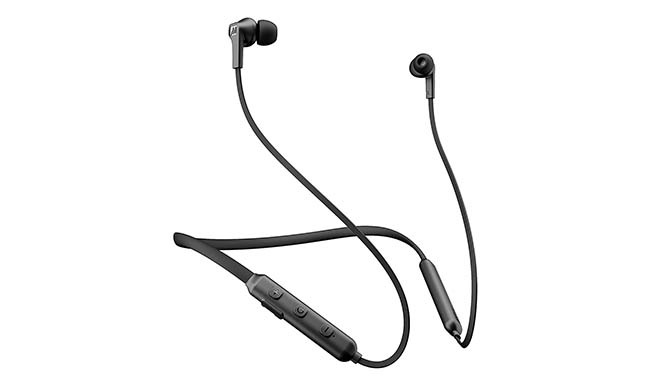 Skullcandy Grind are no doubt one of the best budget on-ear headphones for casual use. If you like your music extra loud, then you should get these. First things first, they look chic. They are lightweight and comfortable. They can last for a long time if treated right. There is one button to control the tracks and a built-in microphone. On-ear pads provide an average seal, so they provide some noise isolation. 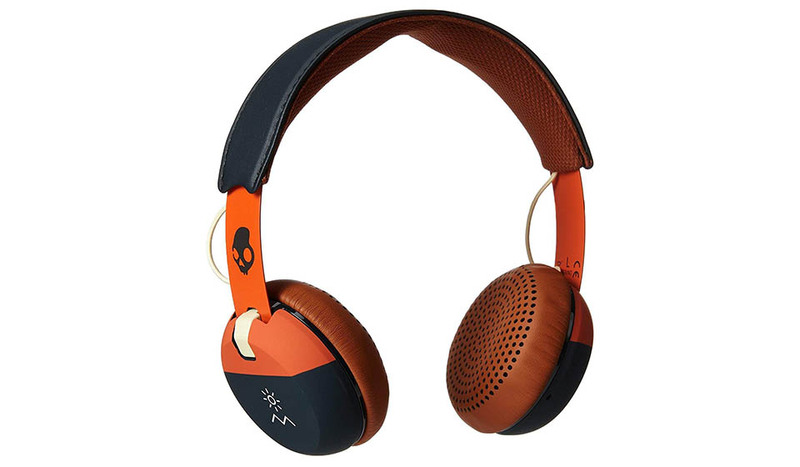 The Skullcandy headphones are known for loud, bassy sound which is disliked by audio purists. Your ears might get irritated or painful because of on-ear fit. Skullcandy headphones are loud and produce powerful deep bass. That is perfect for bass enthusiasts. Or to listen to your favorite music, such as EDM or hip-hop. Skullcandy Grind offer comfort, durability and fancy look for less than 50 dollars. Add extended bass response, and you get to see why they are so popular. Superlux HD668B are comfortable over-ear headphones giving open soundstage, perfect for daily use, even in a studio. Do you want to get yourself open-back headphones that are unbelievably comfy and have great soundstage under $50? Then check these out. 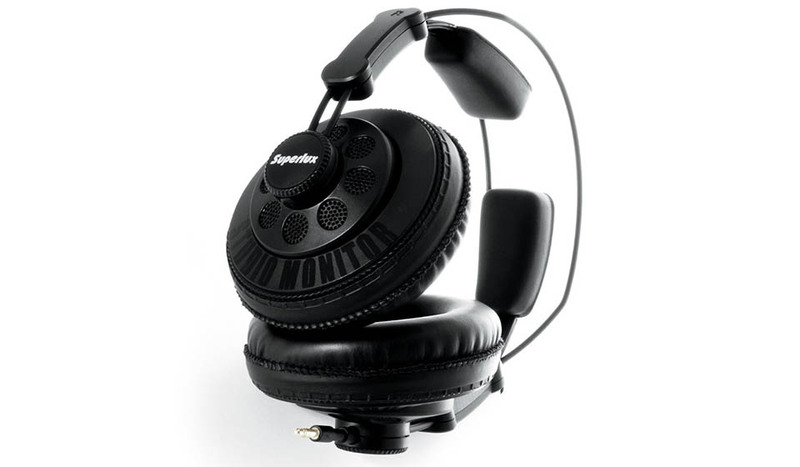 Apart from sound quality, these studio headphones have a lightweight design and large ear pads for maximum comfort. Many users find them comfy for long hours. They have a unique wire headband that provides just enough clamping without being too tight on the head. You get 2 different length cables so you can choose them depending on the situation you are in. Great affordable option for home listening. Not the best noise isolation, which is expected of semi-open-back headphones. The sound from your headphones leaks out and ambient noise in. Their ranges are well balanced, with bass not being too punchy and vocals coming out just in the right amount. Overall, these are headphones for audiophiles on a budget. They satisfy many listeners and get great reviews. Sound can be compared to some more expensive semi-open-back relatives. What makes the Superlux HD668B stand out is their ability to give a fantastic open sound that can make you feel like you’re in the middle of an amphitheater. Plus, the fact that they cost less than 50 bucks and are comfortable makes them one of the best. $50 isn’t very little money, but it also isn’t a lot of money for a pair of headphones. It’s in the lower price range, and most headphones from big brands cost more money. Nonetheless, you can still get decent quality. What you can’t expect are big brand names. The most known and popular models from brands like Bose, Sony, Sennheiser, and others cost more money. Also, 50 bucks will get you basic headphones. You can’t expect state of the art noise-cancellation or the latest wireless technology. For this price, you can mostly get budget oriented headphones. 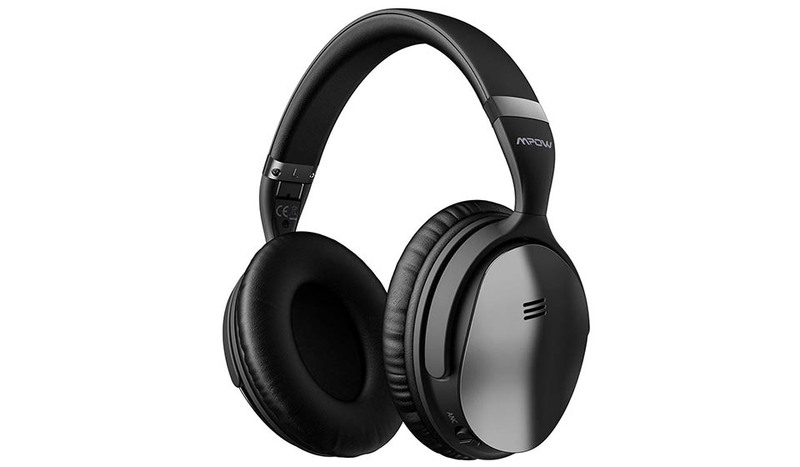 Active noise cancelling is a particular technology that uses microphones to pick up ambient noise and then send the opposite sound to your ears where it effectively cancels out. Passive noise isolation is just how good the headphones are at blocking noise with physical barriers like earpads and earcups. You can read more about the difference here. Thank you for checking our guide. Hopefully you found the right headphones for your needs. If you think you have found better ones, please let us know in the comments.